Setting aside large parcels of land in the center of a city for agricultural purposes is bad for sustainability and not in line with the mission of Boulder’s Open Space program. I am referring in particular to the proposal to purchase a permanent agricultural easement on the property known as Long’s Garden, immediately East of Broadway in N. Boulder, as discussed in this Daily Camera Op-Ed, and proposed in this 2011 Boulder City Council memo. This proposal is contrary to Boulder’s sustainability and open space preservation goals for several reasons. The opportunity cost of acquiring the land’s development rights is very high in terms of land outside the city’s growth boundary that could be preserved with the same amount of money. For example, the city purchased a conservation easement on the 243 acre Windhover Ranch in 1993 for $1M, about a fifth the cost of the proposed agricultural easement on Long’s Garden. Two decades of inflation make that equivalent to roughly $1.6M today. The easement on the 25 acre Long’s Garden parcel is proposed to cost $4.7M. This means that per acre preserved, Long’s Garden costs nearly 30 times as much as the Windhover ranch. Long’s Garden is immediately adjacent to the Broadway high frequency transit corridor. Purchasing an agricultural easement on this property would permanently degrade the value of our investments in transit service along Broadway by unnecessarily reducing the number of households and businesses that the transit corridor can serve. The functionality and economic efficiency of transit depends heavily on land use patterns. We should not needlessly hinder transit’s ability to serve our community, further incentivizing driving as the dominant mode of travel. Long’s Garden is right in the center of North Boulder. By far the best use of that land, in the context of Boulder’s sustainability, is to ensure that it is eventually made into good city—city that is accessible to people on foot, by bike, and via transit, and that is a joy to inhabit as a human being. Preserving it in perpetuity in an undeveloped state only serves to unnecessarily separate destinations in one of the most centrally located portions of the city. Good cities—cities that embrace their urban state and form themselves around human beings rather than automobiles—are the most powerful platform on which to build a sustainable civilization. They give their citizens access to economic, social and recreational opportunities by virtue of proximity. This allows people to conveniently access their community by traveling short distances slowly, which is a fundamentally lower energy proposition than attempting to go long distances quickly. The most important aspect of our Open Space program, from a sustainability point of view, is the fact that it enforces (somewhat) compact land-use patterns within Boulder County. Using Open Space funds to carve out large chunks of the center of the city is completely contrary to that goal. The very nature of cities is that they must import resources, including food, water, and energy (and it turns out that isn’t such a bad thing). A human settlement that’s able to produce all its own food within its own borders is so diffuse as to not be a city. Vegetable gardens are better than lawns from a sustainability point of view, but that’s not saying much. Shared community gardens (like the Hawthorn Garden that’s currently hosted on the eastern portion of the Long’s Garden property) foster community and offer people the opportunity to learn about how food is produced. They serve this goal efficiently because they are a shared resource — people can participate when they are interested and have the time to do so. Similarly, school gardens are a fantastic learning opportunity that all children should have access to during their education. But these gardens do not now and will never produce a substantial fraction of the food that we as a city consume for the simple reason that cities consume far more calories per unit area than the land can produce. Destroying the urban fabric of a city to produce food within its boundaries is thus a very poor trade-off. (Incidentally, the same thing is true for renewable energy harvesting: to meet Boulder’s current annual electricity demand, even if we had free, perfectly efficient electricity storage, would require covering fully 1/3 of the city’s area with solar PV; Boulder isn’t particularly densely developed and there’s every reason to push more transportation and heating toward electrification going forward—we’re going to be importing renewable energy going forward—regional energy systems on the other hand are at least plausible). If we want a vibrant, sustainable local food system, and I think most of us do, the place to build it is almost entirely outside the city’s borders. If you feel strongly that shared agricultural land is a resource that the citizens of the city should have access to, then perhaps consider dedicating a portion of the Area III planning reserve, or any other open space immediately adjacent to the city, to that end. 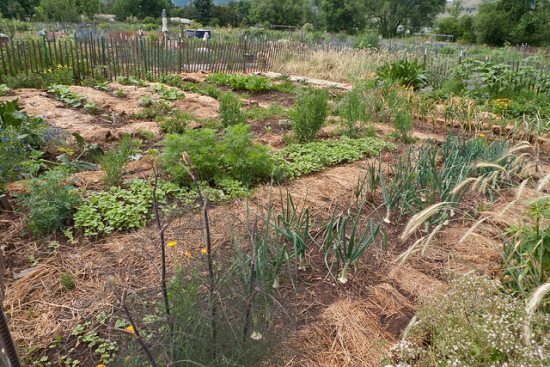 Or tuck community garden plots into the corners of our existing parks and other underused open spaces within the city, as we do already via the program administered by Growing Gardens. Instead of spending nearly $5M on this single small easement, imagine what that same money could do in other contexts to support our local food economy. Could we have a year round Farmers Market every day of the week like Freiburg, Germany? Could we invest in local food processing infrastructure, and facilitate the creation of broader, more accessible markets for locally produced foods? Or just think of the community garden program that could be supported with that money as an endowment, on much cheaper land set aside just outside the city’s growth boundary. Zane – You uncover a lot of the externalities of whether or not to preserve the land. Unfortunately, I think you’re up against a status quo that doesn’t understand or isn’t concerned by the shortcomings of Boulder’s land use patterns.